Business owners with a Facebook Business Page have the opportunity to publish job listings for their company. 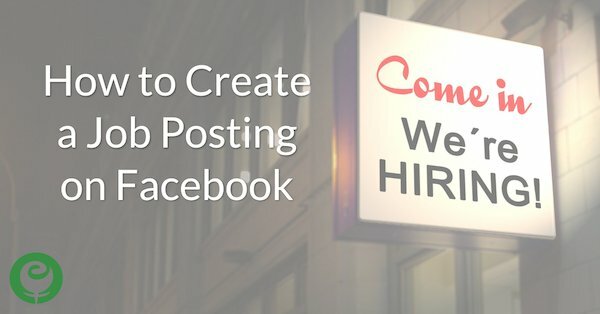 When you publish a Job post on your Facebook Business Page, it will publish to your Page and the News Feed like a regular post, it stays active for 30 days, the job listing can be renewed once the 30 days passes, you can close the listing if you fill the job before the 30 days comes and goes, and you can boost your Job post for more exposure. 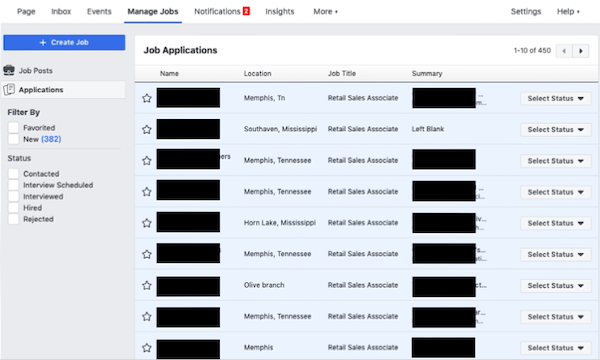 Some Page Templates have a Jobs tab standard in the left-hand side bar, but you don’t have to have a Page Template with the Jobs tab in order to publish a job. To post a job opening at your business, you can start by visiting this link and then clicking on the Create a Job button. 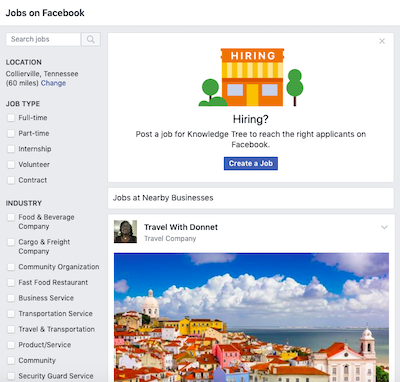 If your Page Template includes the Jobs tab, you can also start by clicking there. 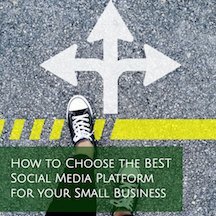 Whether you start creating your Jobs post by clicking on the tab on your Facebook Business Page or by visiting https://www.facebook.com/jobs, the process to build a job listing and the information you can provide is the same. Start by adding the name of the position in the Job Title field. This will be shown underneath the photo used for the job listing. Next, add the address of your business. Continue down to the salary section. 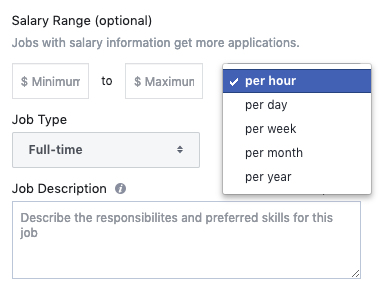 Adding a pay rate or salary is optional, You can post a range of pay and also can choose between by hour, day, week, month or year. Job type choices are part-time, full-time, internship, volunteer, and contract. Next, write your job description. You have 5,000 characters to do so. Your job descriptions will show up at the top of your job listing post, above your job post image. Next, you can add up to 3 additional questions. These questions are optional, and can be open-ended, yes or no, or multiple choice. 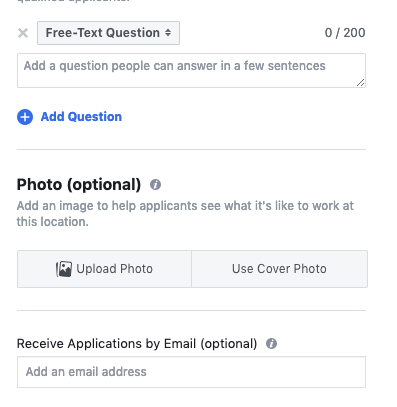 The final couple sections of your job post let you choose the cover photo for the Page or to upload a photo for your job listing, and to give you the opportunity to include an email address for the application. If you enter an email address in that field, all applications will be emailed to that address. 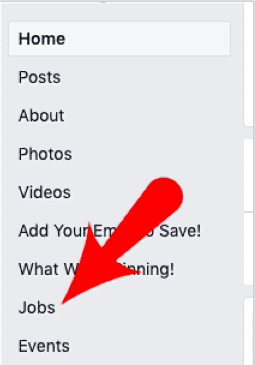 Once you post a job, you’ll notice a Manage Jobs tab along your Facebook Business Page’s navigation bar. Click on that tab to access all current and past received job applications. 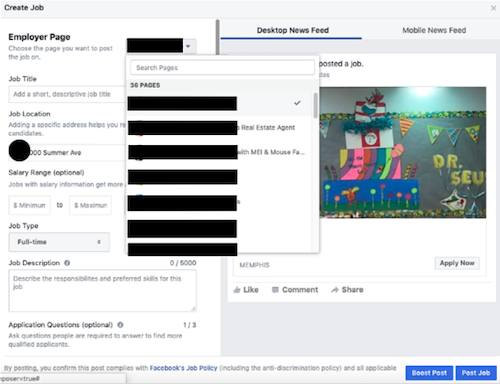 It’s important to note that when someone clicks on the Apply button on your posted job listing, that their name, education, and job information that’s included in that applicant’s Facebook profile, is sent to you. Not everyone keeps complete and updated work and education information in their Facebook Profile, so you should verify their information. 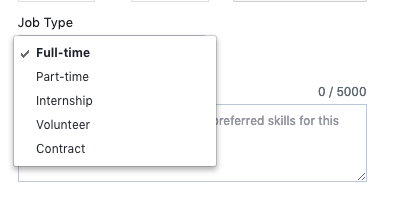 Facebook has some helpful organization tools of your received job applications. 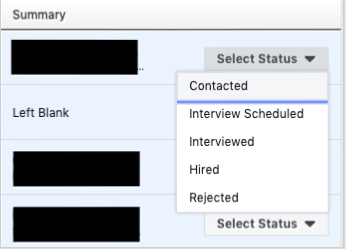 Using the drop down menu on the right side of each listed applicant, you can choose to mark that applicant as Contacted, Interview Scheduled, Interviewed, Hired, and Rejected. If you are in search of employment and would like to see all current jobs listings in your area, please visit, https://www.facebook.com/jobs. You can sort by job type and industry.